Education builds a strong foundation for a nation and technology based education is an essential for a country like ours. Textile engineering is a very prospective field of education in our country as textile, jute and Ready-Made Garments sector are the largest industrial sectors of our country and earns more than 80% of our export earnings. Textile, jute & RMG sectors are also most important sectors for creating employment opportunity and socio-economic development of our country. Bangladesh University of Textiles started its journey on 22nd December 2010 upgrading of the College of Textile Technology with a view to create new opportunities for higher studies, research and development in this sector. It has been trying hard to maintain standards on higher education and research. 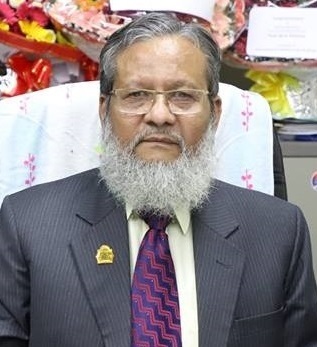 I believe that, Bangladesh University of Textiles will play a very remarkable role to upgrade the textile education which will be compatible with the era of globalization. It is a thriving university which focuses on the generation and dissemination of knowledge and attaches equal importance to classroom teaching and research. It embraces global quality assurance mechanism to boost the power and professionalism of the teaching and nonteaching staff with a view to ensuring quality education and research through the deployment of ICT facilities. New curriculum of international standard has been developed. On the way to internationalization, BUTEX looks forward to forming partnerships and fostering relationships with universities across the globe. We are making great strides in quest for quality culture and academic excellence. We are determined to transform our beloved BUTEX into a world class university All our efforts will be towards making this University an ideal university with international recognition that it will meet the requirements of our textile industry.